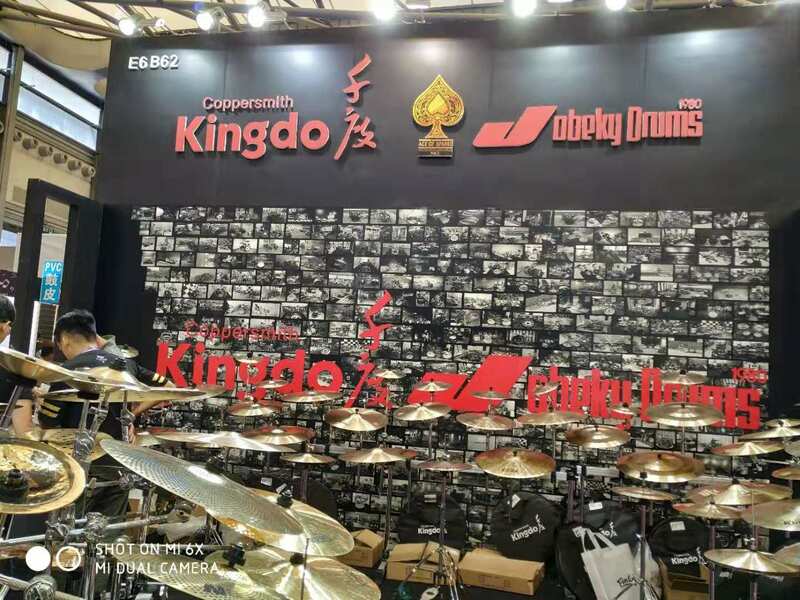 Our company attend the Music China of Shanghai from Oct.10th 2018 to Oct.13th 2018 .Our production H68 Brass Cymbals, B20 Cymbals, B8 Cymbals and Stainless Steel Alloy Cymbals are showed to the customers. The Drum Set Cymbals are 100% Handmade Cymbals. 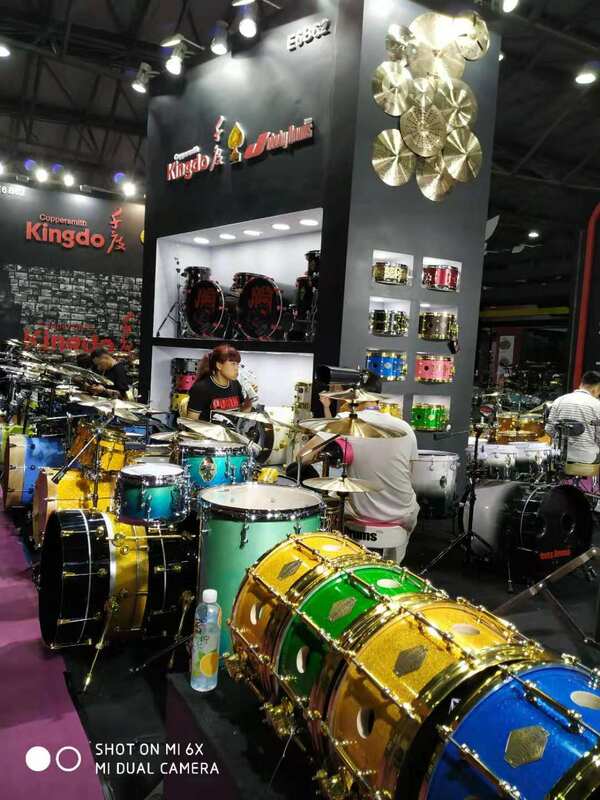 So the quality are top grade and popular with the drummers. This time our company have already designed new effect Cymbals With Holes. The tone of Acoustic Drum Set cymbal is perfect. 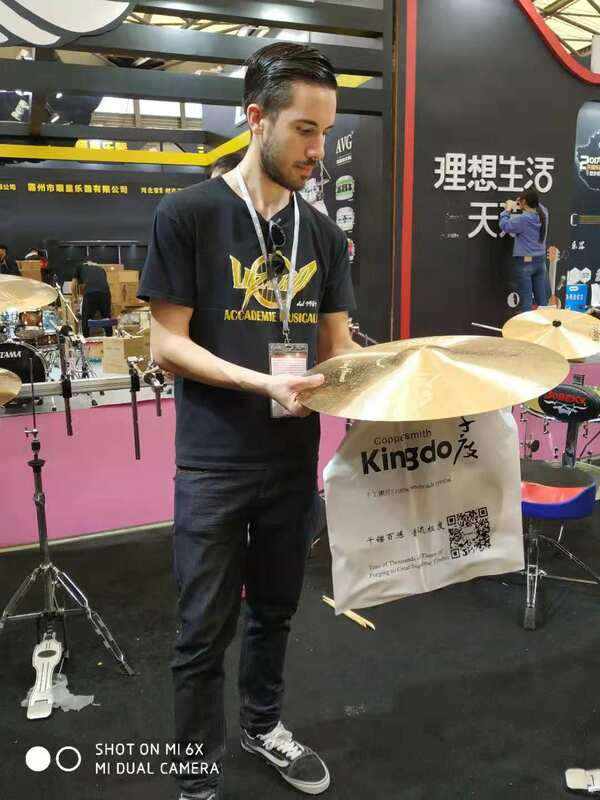 Our Kingdo cymbals attracted so many people's to buy. All the cymbals are sold very well. Many foreign drummers give us sample orders.